AUCKLAND, New Zealand - David Browne has been concussed following yesterday's sickening head clash with Tasman United goalkeeper Corey Wilson. The Navy Blues defeated Tasman United 3-1 in their ISPS Handa Premiership match at Kiwitea Street thanks to goals by Javier Lopez Iglesias and Browne but the game was halted in the 76th minute after Wilson collided with the Papua New Guinea international. Wilson and Browne were both taken to hospital in separate ambulances and play didn't resume until almost 4.30pm. It's understood the Tasman United goalkeeper was cleared for tests but kept in hospital overnight for observation but did suffer concussion and a small cut. He is expected to return to Nelson this morning. Browne's situation is less straight forward with the Navy Blues wide man having eight stitches placed in a head wound, concussion and fractures to his eye socket and forehead. It's also understood Browne won't need surgery but faces a strict protocol around returning to action following the concussion. 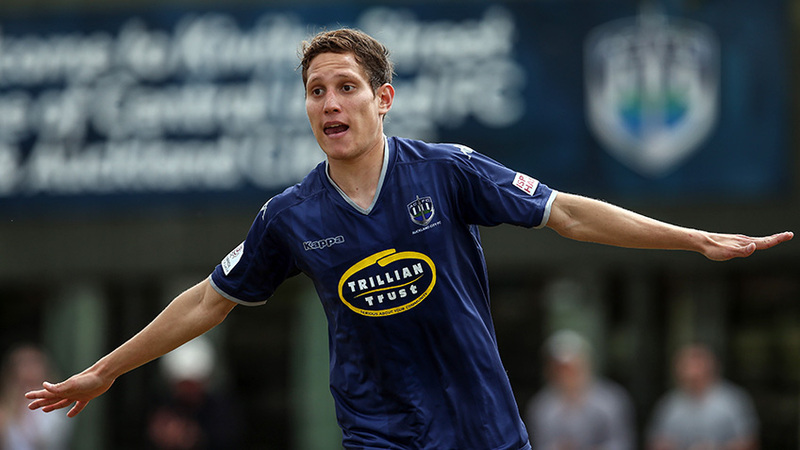 Auckland City FC will provide further updates on David Browne's injury in due course.